All organization designs have their merits but can fail to bring the desired results if they are not aligned to the value and strategic priorities that the organization, business or function intends to deliver. We partner with organizations to assess their current design and identify the organizational components: structure and roles, leadership capabilities, management systems and work processes, talent practices, and rewards and metrics, that need to change to realize the value proposition. We also collaborate with our clients to ensure that their key stakeholders are actively engaged in all phases of the planning, design and implementation process. Led the design and implementation of planning and staffing processes to support organizational separation into three public companies with a focus on establishing strong corporate centers with the talent necessary to effectively operate as standalone companies. Provided coaching and subject matter expertise to Six Sigma and Lean experts to design supply chain organizations across a portfolio of businesses to achieve and sustain cost saving targets and other operational metrics. Lead the organization design of new / transformed HR operating model resulting in greater efficiencies and more value added programs & services. Partnered with finance transformation executive and core team to define stakeholder requirements and determine design criteria, non-negotiables and operating principles. Four design options were identified, evaluated and socialized with key stakeholders resulting in a new functional model that was implemented across the enterprise. To stay competitive and relevant in today’s dynamic landscape, business and functions must continually evolve and change to respond to internal and external pressures. We partner with leaders and their teams to build a compelling case for change, conduct stakeholder analysis and engagement activities, and develop detailed change implementation plans to drive employee engagement and ownership to effectively execute sustainable strategic and operational changes. Built the business case to establish cross business and functional roles within China and India markets to accelerate three year growth plan. Deepened understanding of structural changes required to enable quicker decision making and greater responsiveness to local market and talent challenges. 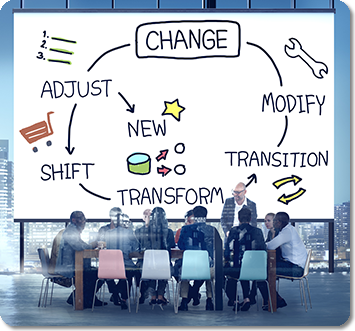 Developed and led change implementation plans for large scale functional transformations within HR, Finance, IT and Operations resulting in reduced costs, greater alignment of processes, systems and culture with key strategic & operational priorities. Partnered on plan to build out technology and innovation capabilities needed to deliver on company growth targets. Designed and implemented organizational, cultural and talent transformation programs and activities. Progress is impossible without change, and those who cannot change their minds can not change anything.